Horoscope add-on is available for Business and Premium packages. Please visit the Marketplace if you want to add this feature to the Dating Pro Start package. 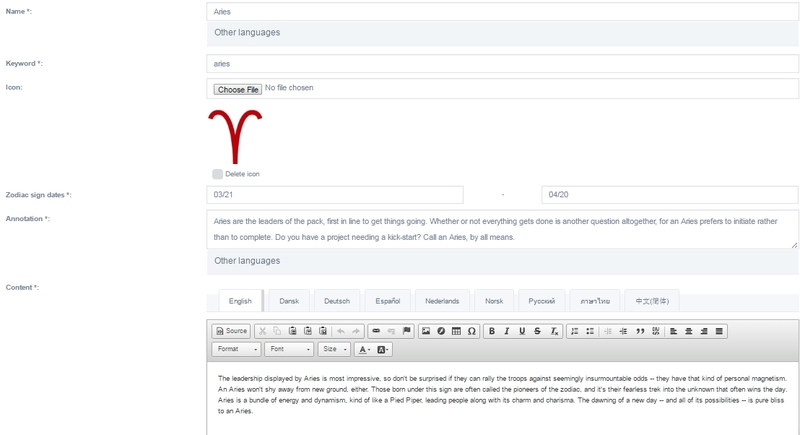 Click Edit zodiac sign to access settings. 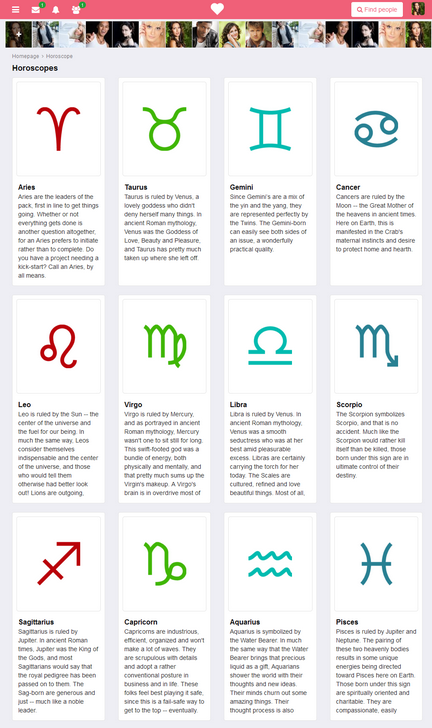 To add a horoscope, give it a name, zodiac sign, annotation and content. 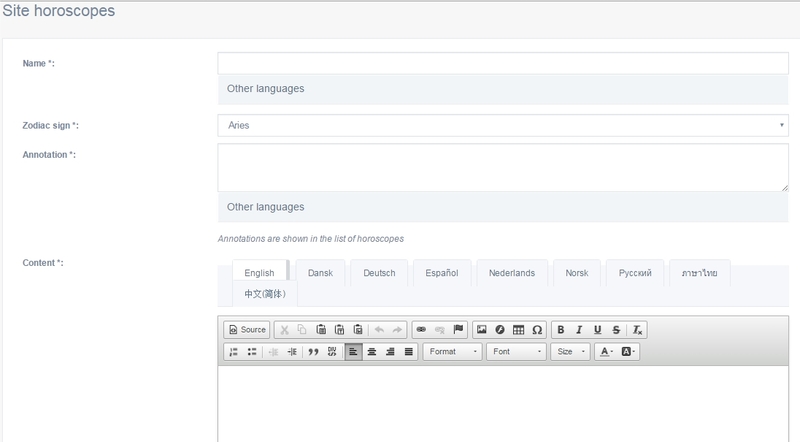 Click ‘Add horoscope feed’, insert the link and select the appropriate language if you have several site languages. Check out this manual on how to edit Info pages.